The Weekend BANG! Is back and ready to shock your world with the latest info to, well shock the world. 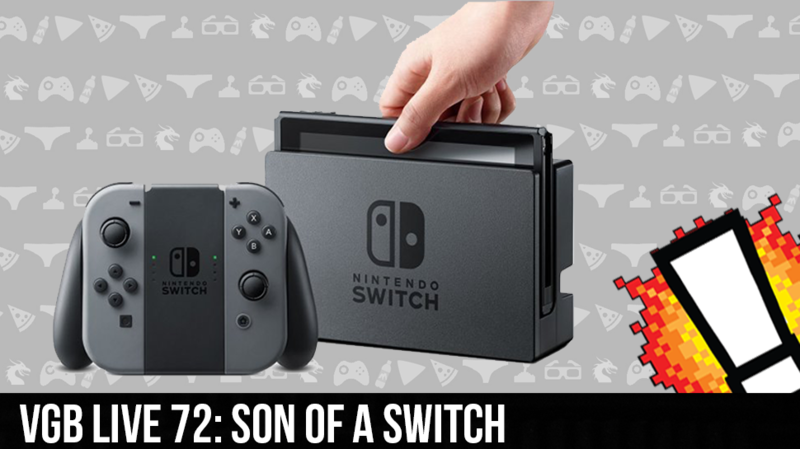 Sir Aaron Carter at the helm with Cory, the real David Webb and Steven G all along, as we delve into Nintendo’s Switch. From the games to the hardware the VGB dissects the Switch and lets the people know how they feel about it. Will the Switch change the way you game? Is the price for the Switch competitive enough to deal with the PS4 and Xbox 1? And will the third-party developers get behind Nintendo this time? Find all that out and more on this week’s Weekend BANG!